There is always heaps going on in our kitchen, as we grind our own flour, grow our own meat (aside form pork, which we are lucky enough to be able to purchase from a local free range pastured pig farm) and make almost everything from scratch. Lately I've been determined to capture it more often and share more of our kitchen happenings here, so I couldn't think of a better way than to join Celia and a host of other bloggers in the monthly kitchen tour at Fig Jam and Lime Cordial. Make sure you pop over and enjoy a peek into everyone else's kitchen too. A large batch of meat pies cooling. Made with our organically grown home-beef and shop bought puff pastry. I wrote mostly from scratch above as we still purchase some things, such as this pastry. I'm not brave enough to attempt making puff pastry, especially with home ground flour! This time around we made about 32 individual pies. Out of this we had dinner and lunch the next days, still leaving lots to go into the freezer. Now when we're short of time one evening all that has to happen is heat up some pies in the oven and steam some greens to go with it! 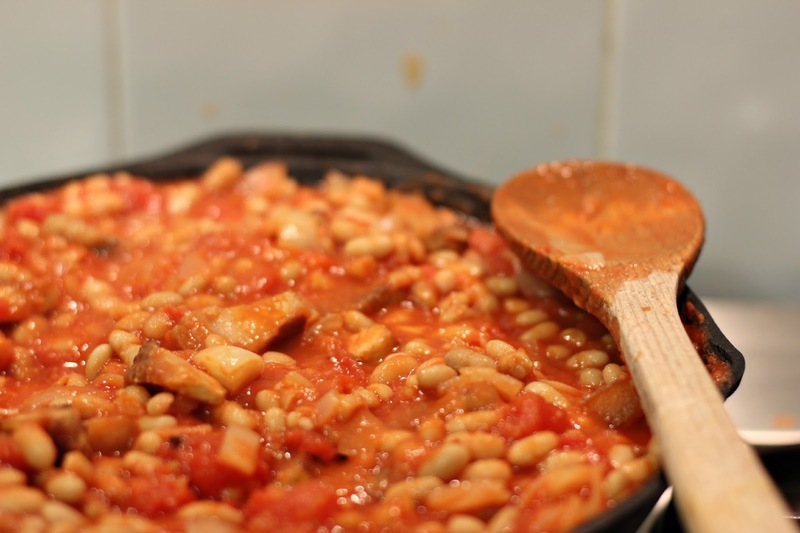 Baked beans with pork is a perfect easy dinner on a cold night. It tastes even better enjoyed in front of the fire! It's so nice to be able to eat food from our own garden again! We've been enjoying lettuce for a while now but we got to harvest the first of the winter vege the other night. It was simply steamed with a little butter and it was oh-so-yummy! Killed that morning, into the pan that evening. Poultry is a treat in our house, and one that is always relished with delight. 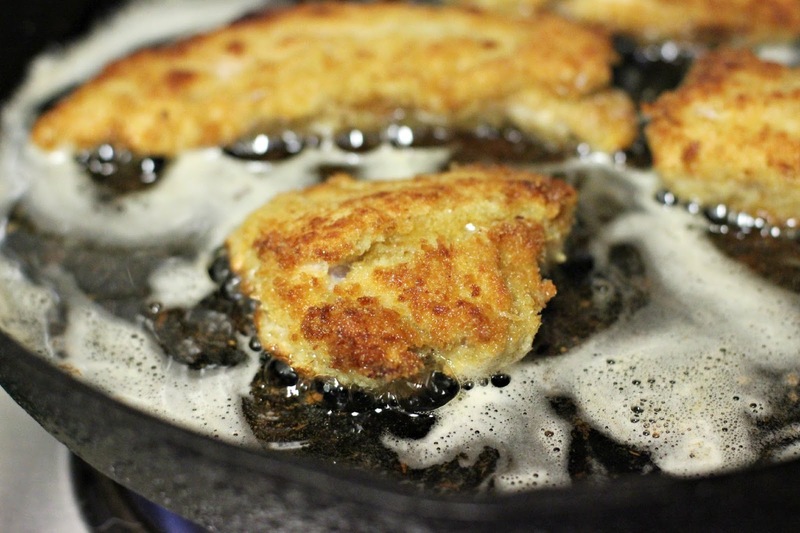 This particular night we crumbed the breast and had it with the steamed greens above and some mashed potatoes. The rest of the meat is in the freezer. What's been happening in your kitchen lately? Are you an all-the-time baker or a weekender? Looks wonderful :) and I see that you are a first time IMK poster too! Yay! I really like the look of your kitchen, wonderful and those pies! Everything looks very yummy, especially that sauce. I am very interested in the recipe as I have chillies galore at the moment. Exactly! We hardly have pastry and on the nights we do usually we're short on time :-) We use a butter puff as I don't like using margarine :-) Thanks for stopping by! Can't wait to see that chilli sauce recipe! Thanks for the look in your kitchen, I will be investigating the bean and port recipe closer as winter sets in. 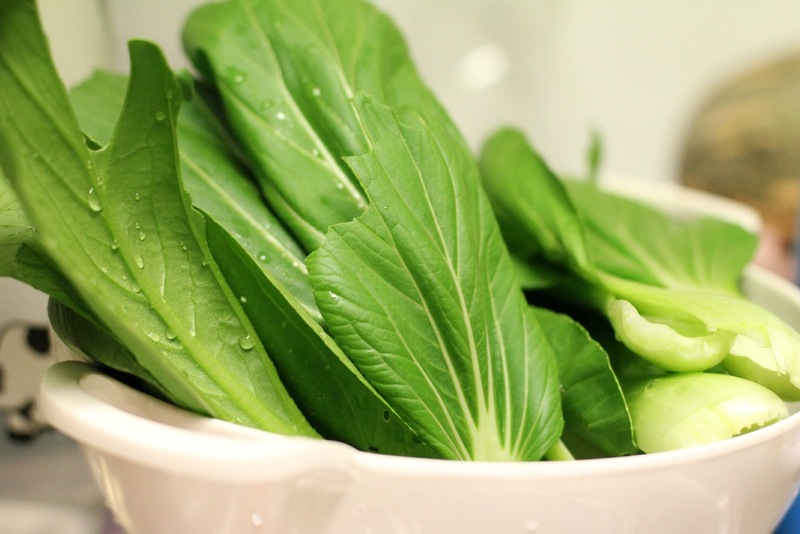 Your bok choy looks amazing! Great first IMK post, Sarah! I envy your lifestyle, I'm in a city suburb and love growing stuff in my little patch. 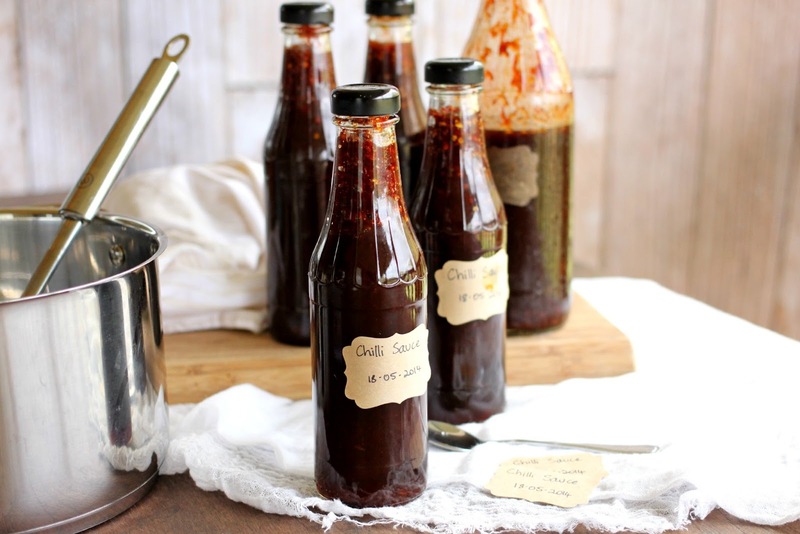 The chilli sauce looks great, will eagerly follow you now to find out the recipe! Stunning pics ... that chilli sauce looks very yummy! A beautiful look at your kitchen! Those individual pie pans are beautiful! And homemade chili sauce? What a treat. I think it's so lovely how you can produce so much at home. Can't get anymore local than that! I love baked beans and pot pies! Sounds like we have a lot in common...grinding own flour, raising own animals, etc. Even having an overflowing yarn bin! You have a beautiful collie! Everything in your kitchen looks gorgeous Sarah! I'm so impressed that you grind your own flour. Amazing! Always good to have a home grown meal on the table. We're just coming out of the early spring bare patch in the veg garden. Another home flour here, though I only use it to make bread, not pastry - and now wondering why. We're nearly at the end of last year's wheat and looking forward to this year's harvest in a couple of months. Hi Sarah! It is my first IMK post as well! Those meat pies look delicious and the greens so yummy! Looking forward to reading more! Hi Sarah, welcome to the IMK gang. What a great first post, I'd happily order every one of your dishes especially the pies and the baked beans. 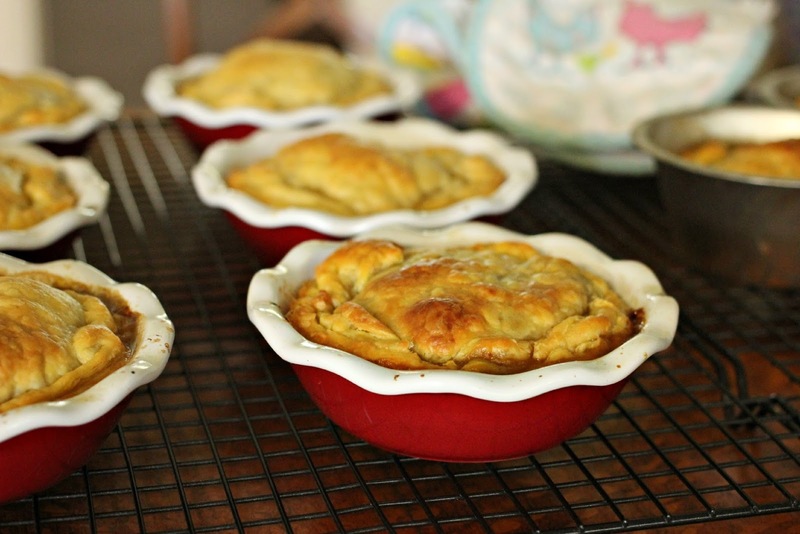 Your little pie tins are gorgeous - I love a good home made pie. Have also never made puff pastry as life is too short, especially when there is good commercially available butter puff to be purchased. I was going to ask where you get your pork, but then I saw you are nowhere near me *sigh*. Look forward to reading next month.